The life and death of Mr. Joseph Caryl. THIS eminent divine was born in London, 1602, and educated in Exeter college, Oxford. Here, by means of an excellent tutor, and ardent application, he soon became famous for his disputations. In 1627 he took his degree in arts; and entering into holy orders, he exercised his function, for some time, in and about Oxford. After this he became preacher to the honorable society of Lincolnshin, where he continued for several years, and acquired a good reputation. In 1642, and afterwards, Mr. Caryl was frequently called to preach before” the long parliament; and being now become conspicuous and eminently distinguished for his abilities and puritanical principles, he was chosen a member of the assembly of divines; in which, as in every other station, he evinced much learning, piety, and moderation. He was also, about this time, appointed licenser to the theological department of, the press. Jn 1645 he became pastor to the church of Magnus, near London bridge; in which situation he labored several years with great diligence and remarkable success. He was considered one of the best expositors of scripture in that period, and an excellent and very pathetic preacher of the gospel. He was appointed, along with Mr. Stephen Marshall, as chaplain to the commissioners who were sent by parliament to the king at Newcastle, to negotiate an accommodation of their differences. They accompanied the king and the commissioners from Newcastle: to Hoimby House in Northamptonshire, where his majesty continued some time without any of his chaplains. Caryl and Marshal], at the desire of the commissioners, according to Wood, offered their services to preach before his majesty in the absence of his chaplains; but their services were not accepted, not even to say grace; which his majesty himself said with an audible voice. In September 1648, Mr. Caryl was one of those divines who accompanied the commissioners of parliament to the Isle of Wight to negotiate a treaty of peace. This commission consisted of five noblemen, ten commoners, and four divines, to assist them in their religious debates, Mr. Caryl, Marshall, Vines, and Dr. Seaman. In September 1650, MiCaryl and Dr. John Owen were appointed by parliament to travel into Scotland to attend Oliver Cromwell, who desired their company and service. In 1653 he was appointed one of the triers for the approbation of ministers to fill the vacant churches; and the following year he was constituted an assistant to the commissioners for ejecting scandalous, ignorant, and otherwise insufficient ministers and schoolmasters. In 1659 he was sent into Scotland, to give general Monk an account of the state of affairs in England, with a letter from Dr. Owen, expressing their apprehensions of danger to their religious liberties on the event of a revolution of the government. On the 14th of March following, according to Wood, he was appointed, by act of parliament, together with Edward Reynolds and others, to approve of, and admit, ministers in the Presbyterian way; but that the order of the House being nulled by the restoration of king Charles, he retired to his flock at Magnus, where he continued till ejected by the act of uniformity, 1662; on which mournful occasion he preached his farewell sermon from Rev. iii. 4. “They shall walk with me in white, for they are worthy.” “The design of this discourse (says Mr. Caryl) is to delineate the character, and set forth the honor and happiness, of those he had described in a former discourse, who, like the few names in Sardis, had not denied their garments by conforming to a sinful and degenerate world. They shall walk with Christ. They shall walk with him in white garments; denoting their state of justification, but particularly the purity, integrity, and persevering intrepidity of their character, honorable in the sight both of God and man. Their white robes likewise denote the inward peace, and self approving satisfaction, that springs from the testimony of their own consciences from the witness of the Spirit, and the well-grounded hope of eternal glory; in consequence of which they may rejoice, nay, glory in tribulation, and smile at the impotent malignity of their persecutors and oppressors., What Christ said concerning the lily, may, with great propriety, be applied to those who keep themselves pure and unspotted from the sins and superstitions of a degenerate age: “Solomon, in all his glory, was not arrayed like one of those.” To such may the words of the preacher be addressed, ‘ Go thy way, eat thy bread with joy, and drink thy wine with a merry heart, for God now accepteth thy sacrifice.’ What though the world give thee the bread of adversity and the water of affliction, clothe thee in mourning, and cause thee to prophesy in sackcloth; yet be of good comfort, and rejoice in this, that they cannot bereave thee of the fruits of thy labor, of that massy crown that awaits all those who fight, and overcome by the blood of the Lamb and the word of their testimony. The blessed martyrs, though they were cast into black arid dreary dungeons, still preserved their white garments from spot or stain: and though they ‘have been dressed, many of them, so as to make them look like devils, they have been filled with peace and joy unspeakable. But this walking with Christ in white has also an ultimate respect to the heavenly glory, of which Christ’s transfiguration was a type, when all those, who have washed their robes, and made them white in the blood of the Lamb, shall stand before the throne, arrayed in white, with palms in their hands; and the Lamb, who is in the midst of the throne, shall feed them, and lead them to living fountains of water, where the voice of the oppressor, nor the wailings of the oppressed, shall no more be heard, but God shall wipe away all tears from their eyes. Let it therefore be your greatest care to avoid whatever tends to sully your garments, to stain the purity of your consciences and character as friends and disciples of Jesus Christ; and know for a truth, that whoever amongst you neglects this watchful anxiety over their own hearts and lives, shall walk in black, and be attired in robes of mourning. I have endeavored, while amongst you, to press these important considerations on your minds; and should I have no more opportunities of this kind, it is the desire of my heart, and shall be my prayer to God, that we may all meet at the right hand of our Judge and our Redeemer, where all our prayers will be answered, and all our unworthy services graciously rewarded, with glory, honor, and immortality.” After his ejection, Mr. Caryl continued to live in London, and soon gathered a congregation in the vicinity of London bridge, to whom he preached as the times would permit; and his congregation so much increased, that at the time of his death, eleven years after his expulsion, he left one hundred and thirty-six communicants. He died at his house in Bury Street, London, universally lamented, in February 1673, and in the seventy-first year of his age. The following account of Mr. Caryl’s death, given in a letter written by Mr. Henry Dorney, and addressed to his brother, will probably be acceptable to the pious reader: “That famous and laborious minister of Christ, Mr. Joseph Caryl, your ancient friend and companion, has departed this life, aged seventy-one years. 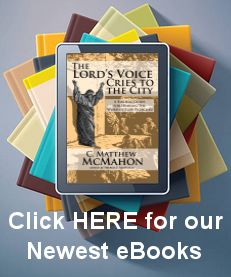 ‘His death is greatly lamented by the people of God throughout this city. About the beginning of his sickness I was with him, and he inquired concerning you as he was wont to do. Perceiving him to be weakly, though he did not then keep his chamber, I desired, while he was yet alive, to remember you in his prayers; which motion he cheerfully embraced. I visited him again about three days before his death. He told me, as I understood him, for being extremely weak, and past all hopes of life, his voice was low; that he had not forgotten his promise to me in your behalf. I think it good to mention this circumstance, in order to provoke you to all seriousness with regard to your, own soul, the eternal welfare of which lay so much at the heart of this eminent servant of Christ. His labors were great, his studies incessant, and his whole conversation without spot or blemish. His charity, faith, wisdom, and zeal, had a fragrant smell among the churches and servants of Christ, by whom his loss will be long lamented. His sickness, though painful, was borne with patience, joy, and peace in believing; so that he parted with time, and entered the harbor of eternity under the full sail of desire, and was wafted into port by a gentle breeze of divine consolation. When drawing near the close of life, he desired his friends to forbear speaking to him, that he might retire within himself; which time, they perceived, he spent in prayer, often lifting up his hands a little. His friends, observing that his hands had ceased moving, drew near, and found he had silently departed from them, leaving many a sorrowful heart behind.” Wood calls him a learned and zealous nonconformist. Dr. Calamy says, “He had universally the character of a learned man.” Neal and Palmer say, “That he was a man of great learning, piety, and moderation, a character which his writings abundantly manifest.” The Oxford historian informs us, “That several elegies were written on him after his death, two or three of which he had seen.” The summer after Mr. Caryl’s death, his congregation made choice of Dr. John Owen for their pastor, and united with those formerly under his charge and superintendence, among whom were several persons of rank in the army. In this united society, Dr. Owen was succeeded by the very learned Mr. David Clarkson, whose successor was Dr. Chauncey; after whom they made choice of the late celebrated Dr. Isaac Watts, for whom they built a new meetinghouse in Berry Street, near St. Mary Axe. His works are, 1. The Works of Ephesus.—2. David’s Prayer for Solomon.—3. The Nature of a Sacred Covenant, and the duty of such as engage therein.—4. The Saint’s Thankful Acclamation at Christ’s Resumption of his great Power, and the Initials of his Kingdom.—5. The arraignment of Unbelief as the grand cause of our National Nonestablishment.—6. The present Duty and endeavor of the Saints.;—7. Heaven and Earth embracing, or God and Man approximating.—8. Joy outjoyed.—9. England’s Plus Ultra, both of Duties required and Mercies hoped for.—10. An Exposition, with Practical Observations, upon the Book of Job, with several other Sermons.—11. The Nature and Principle of Love as the end of the Commandment; being some of his last Sermons published after his death. He had also a hand in a book,: entitled, An English Greek Lexicon, containing the derivation of all the words used in the New Testament.